Thanks to Starbucks' CSR initiative that made a difference in the communities' lives of Kg. Lubok Jaya. We began with empowering the kids with basic computer knowledge and Microsoft skills, and right now, we had also empowered another 20 adults learner! Kudos to all fellow volunteers and also the committed facilitators, one of them is the local trainer, Darwish, 19, who is also the village head's son, he realizes the objective of the program: Train the Trainer, for sustainability. Right now, in total, we had 40 children and 20 adults graduated from the program. During the graduation day, we had the adults to browse through Cooking Lessons through YouTube Channels, and as well, they too can create their own recipes of their delicacies. The CSR Initiatives started by Starbucks buying the harvest of the banana plantation, and generated F&B products for sales. Part of the proceeds were raised for building a community computer centre in Kg. Lubok Jaya. The social impact started to grow since then, and we believe will continue to grow. 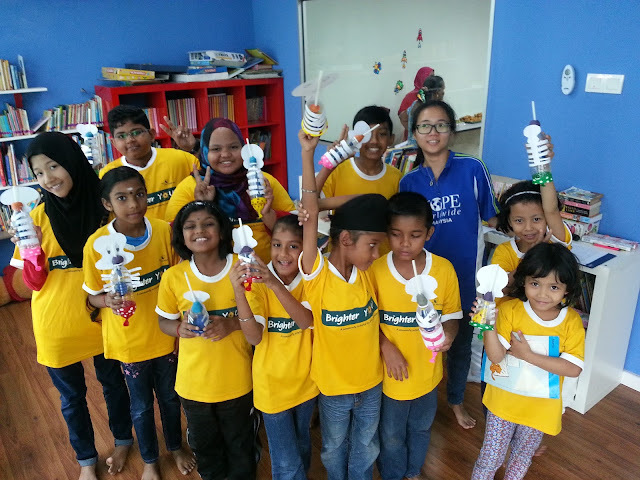 SAP Malaysia CSR Filming Day took place at HOPE worldwide Malaysia 1 Stop IT Reource Centre with 7 students from our beneficial families and 7 volunteers from HELP Universities as the mentors for the students, in completing online research project by using Microsoft Power Point. 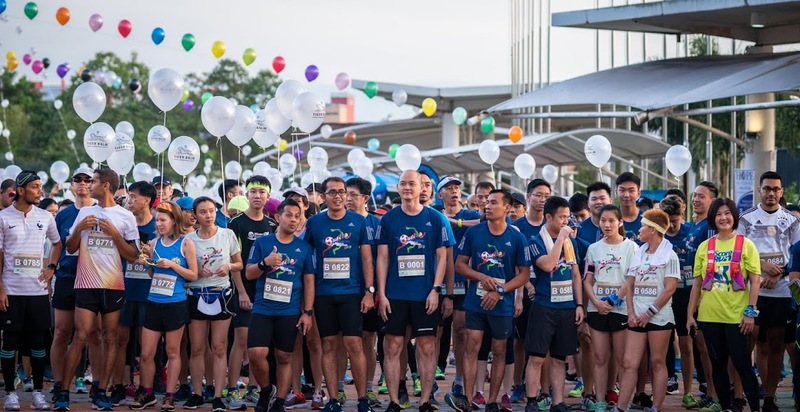 SAP Malaysia has been supporting the 1 Stop IT Resource Centre since the program was established in 2013, in both HOPE worldwide Kuala Lumpur and Penang. 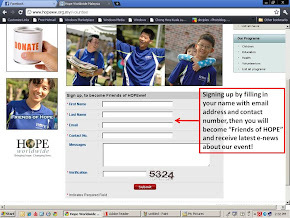 More than 300 students were benefited from this program. In Kuala Lumpur, we have been conducting classes in teaching Microsoft Office - Word, Power Point and Excel and also Windows Movie Maker, and as of 2014, total 196 students were graduated from these classes. (1) Tell us about your favorite country and why do you wish to travel there? (2) Talk about Endangered Animals and how do you protect them? 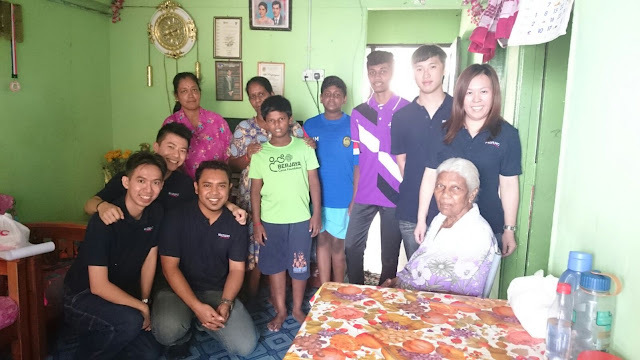 Besides the 6 students whose age range are from 10 to 12 years old, we also have one adult learner, her name is Madam Jeya, who is a single mother, which she followed both of her sons, Maatheeswaran (14 years old) and Dinheshwaran (16 years old) to the centre, in hope to learn some computer skills, in order to have more employment opportunities. 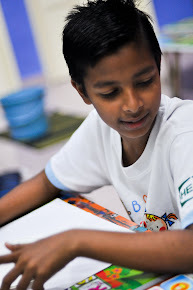 Both Maatheeswaran and Dineshwaran also our students in our education programs since they were very young. 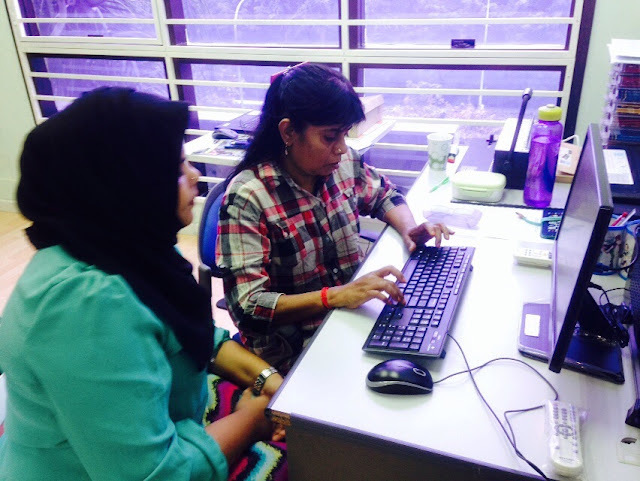 Dineshwaran is now empowered to be one of the volunteers to assist our main facilitator to facilitate the class for the SAP Malaysia CSR Filming Day. Madam Jeya is a single mother who raised up three children - Yogavarthine (eldest daughter), Dineshwaran and Maatheeswaran all by herself. Through life is challenging for here, but her self-motivated spirit by not stopping herself to learn new things is very inspiring. Mentored by the volunteers from HELP University, each student was given 1 hour to do online research for the title they chose. Both volunteer and student together look for information and photos for their topic. 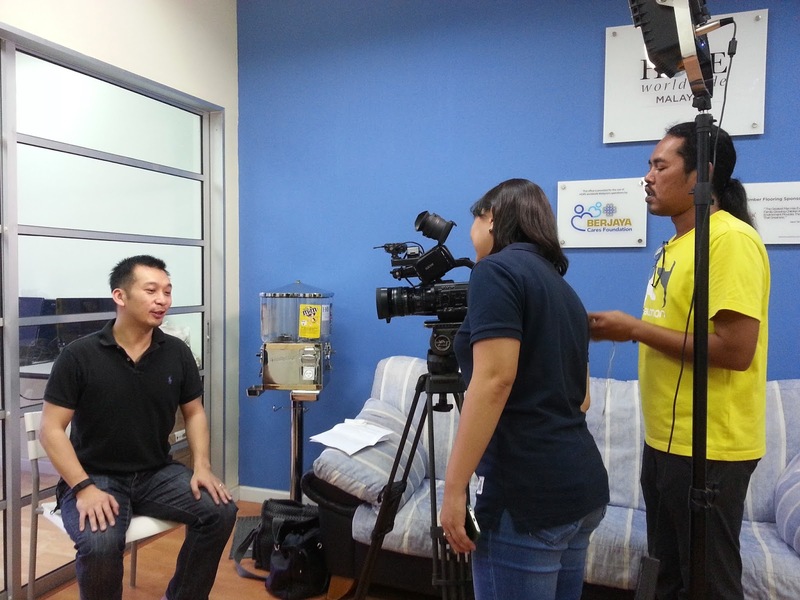 While the students and volunteers were working on their projects, the production team kicks start with their documentation by interviewing the Managing Director of SAP Malaysia, Mr. Terrence Yong and the Program Manager of HOPE worldwide Malaysia, Mr. Caesar Teh. After the interview session, the team also documented the students and volunteers inside the 1 Stop IT Resource Centre. After the students are done with their presentation, the student together with their mentor, present their works through showing their presentation on the projection screen. Thanks to SAP Malaysia and the production team, who had made this session so special and uplifting for the students. We look forward to empower more individuals through the 1 Stop IT Resource Centre especially open up more learning opportunities for adults like Madam Jeya. Total 80 volunteers which is probably the largest group of volunteers HOPE worldwide Malaysia had thus far, participating in 4 community programs - Food Distribution Program, MY Reading Program, Creative Art Program and visiting to the beneficial families' houses. The Home Visit Program was the highlight of the day as we we had 43 volunteers (out of 80 volunteers) signed up, visited 24 families within 2 hours. 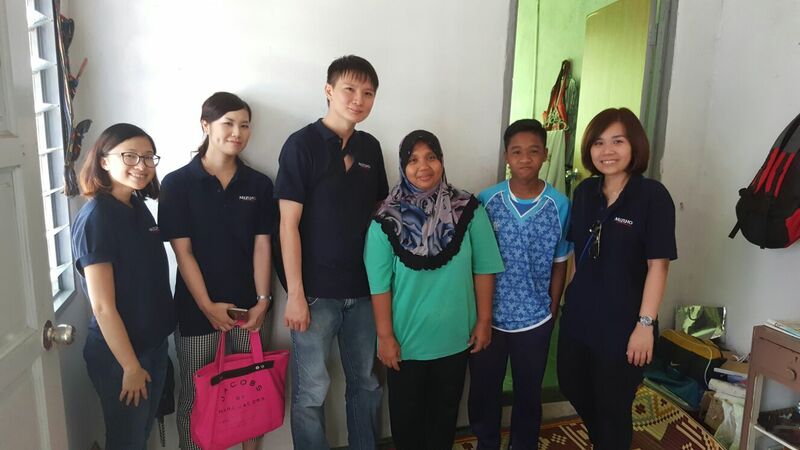 The volunteers were all guided by 8 facilitators to visit the families i different housing areas. 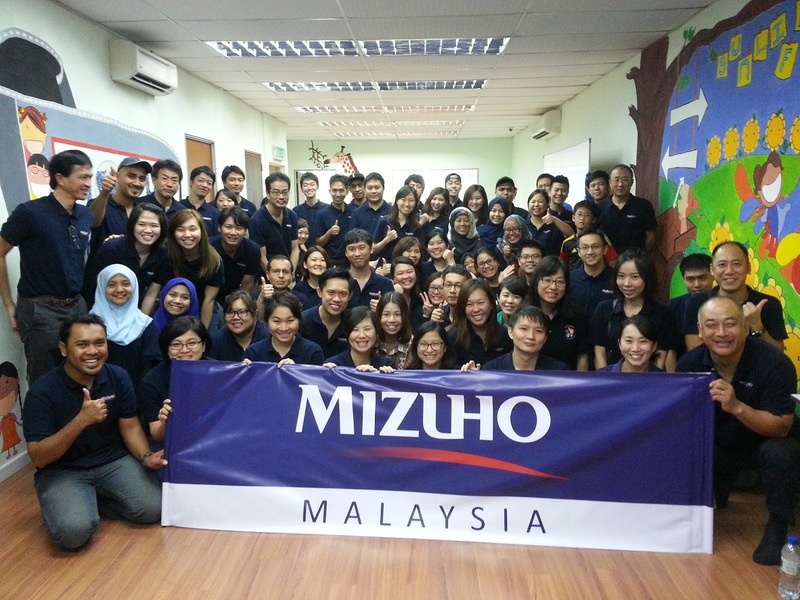 During the home visit, the volunteers from Mizuho Bank were warmly greeted and welcomed by the families. Each family had their life story to tell which left so much inspiration and impact toward the volunteers. We brought KFC Combo meal and groceries to each family. We had the second group of volunteers who worked at the Sentul Free Clinic for the Food Distribution Program, which reached out to estimate 80 families, who were here to collect the groceries. Thanks to all fellow volunteers who compassionately helping some of the families to carry their groceries to the bus stop to take the public transport home. 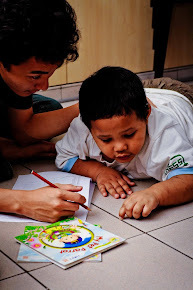 We also had a minimal number of volunteers who stayed back at the centre to be Teachers of the Day in the MY Reading Program and Creative Art Program. By the end of the MVD, we had the volunteers who did the home visit to share their experiences and the inspirations they gained. 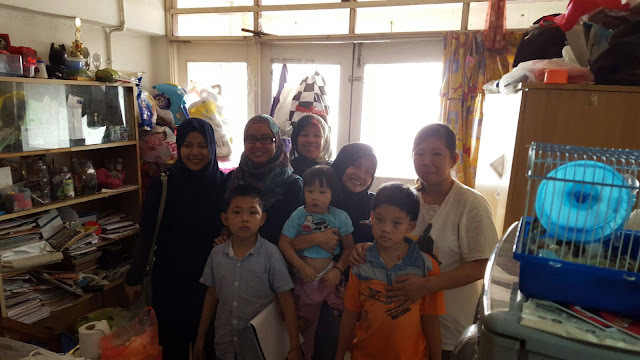 It was indeed an inspiring time as we heard so many volunteers shared about how much they feel for the living condition of low income group families. Some of the famlies, though they didn't have a lot, but they offered their hospitality to thank the volunteers who came to help them. One of the families even do not have mattresses that they have to sleep on the floor. The volunteers from Mizuho who visited the family decided to pool their donations together to buy mattresses for this family. There was an elderly woman from one of the families, who kissed a young volunteer's hands as she expressed her gratitude. 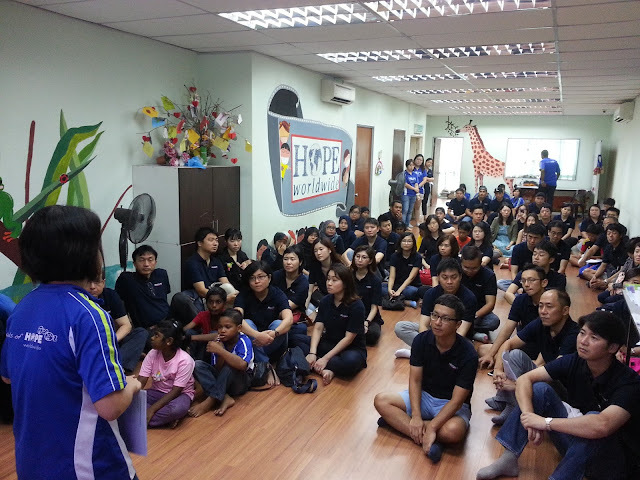 We are indeed very grateful and honored to have hosted the Mizuho Volunteer Day (MVD) at HOPE worldwide Malaysia. 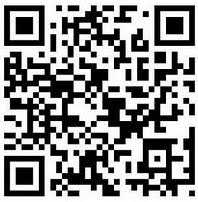 We look forward to have more working opportunities to create greater social impact in the future! Do you believe that you can create Hope for this generation and the generations to come? Year 2000, our first Free Clinic established in Sentul, Kuala Lumpur. 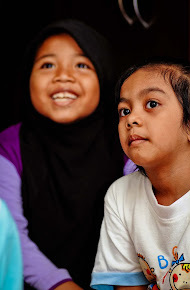 Year 2005, the Free Pediatric Clinic established in Penang. 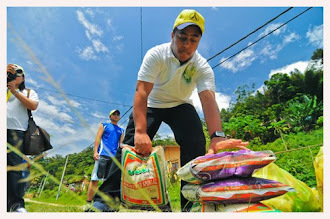 Year 2006, Food Distribution Program begins to provide groceries and basic necessities to low income group families. Year 2008, MY Reading Program and Creative Art Program were established. Year 2010, the Free Mobile Clinic established in Penang for the rural community. 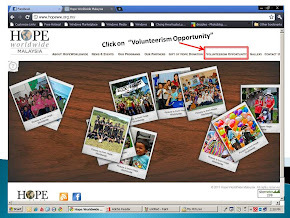 Year 2013, 1 Stop IT Resource Centre is established in both Sentul and Penang. 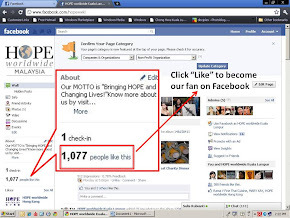 Do you know, all these Hope you gave had impacted more than 70,000 individuals? You are one of the authors of these hopeful life-changing stories. Their stories aren’t ended yet, as we need you to help us, to continue in creating Hope, as we call Glitters of Hope for the ones who needed it the most. 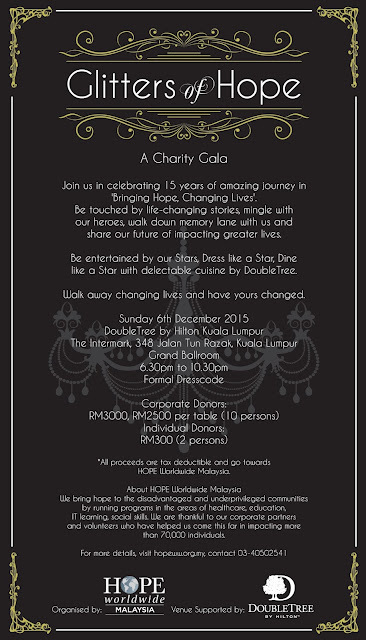 In this December, you can be the author of many Hopeful stories for coming years by supporting our 15th Anniversary Charity Gala, with a minimum donation of RM 300.00 for 2 seats, or RM 2,500.00 and RM 3,000.00 per table of 10 seats. Everyone can be an author to rewrite a person’s life story, to better and greater heights. 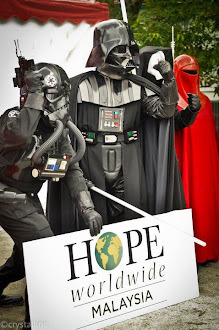 Together, we can create Hope.